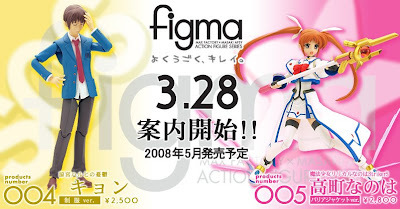 Figma: Kyon and Nanoha | FULL MOE PANIC!!! ← ACGC 2008: A leech is fine too. Well feth me. It seems that Max Factory is going all out too beat Kaiyodo in the articulated figures market with their latest line up of figmas. 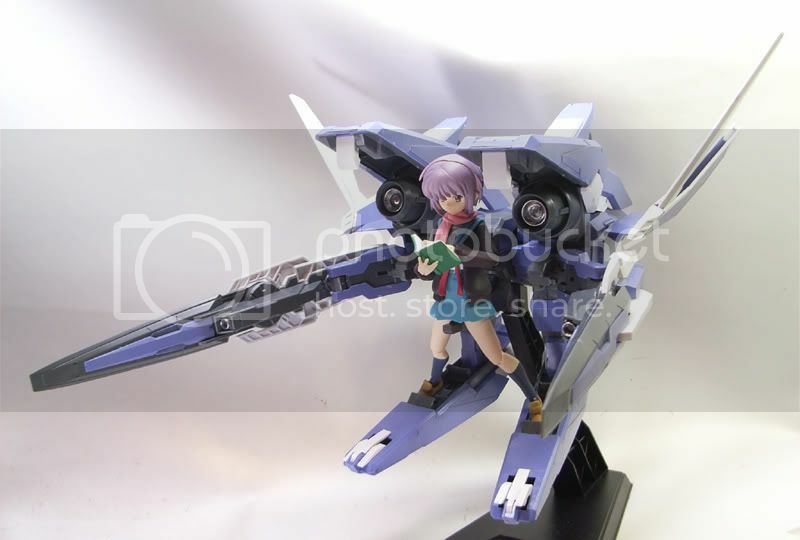 Planned for release in May 2008 are Kyon and Nanoha. Pre-orders starting 28th of march. 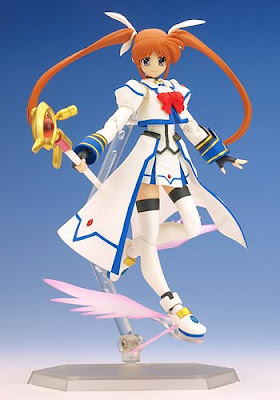 This version of Nanoha is from A’s i presume? I dont think i would be getting Kyon though because of my phobia of male figures. Quite sure that i would be getting Nanoha though. It is also a possibility that we will see a Fate figma later on but that is just speculation at this moment. This entry was posted in figma, Figure, Max Factory, Otaku. Bookmark the permalink. Fate looks totally awesome.. Well, Kyon is also well-made.. I wonder if I can make Kyon do the Caramelldansen pose? I am not a figure collector -yet- so will not be getting either. Wow, Nanoha sure does look nice. Looks like I can pair her off with Figma Saber ^^. @ron~ well just have to mod it ourselves then. @Fariz: should be doable considering that it is highly articulated. @mizunaga: well, a price has to be paid for pose ability. 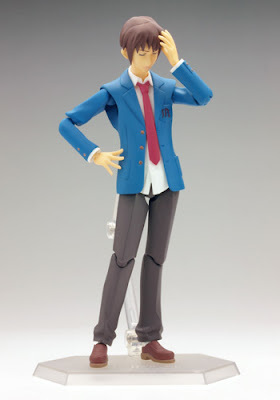 Will be getting Figma Kyon, but will not get Itsuki. I can always substitute Itsuki’s place with an RGM-79 GM if I wanna do a Hare Hare Yukai pose. 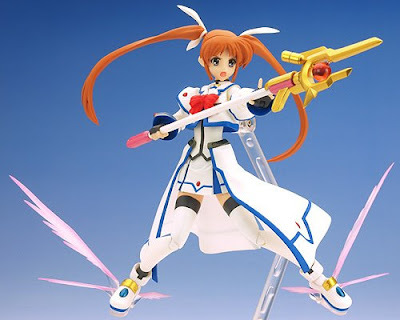 Not sure about wanting to buy both Figma Nanoha and Fate, considering how disappointed I was with Nanoha Strikers. @Hangmen: you mean you dont like lolis????? @prim3: nope. i abandoned the Haruhi line in favor of the FSN line and Nanoha line. might be getting Miku as well. @gordon: that was EPIC. i think theres a restock of yuki on HS though. dont despair.